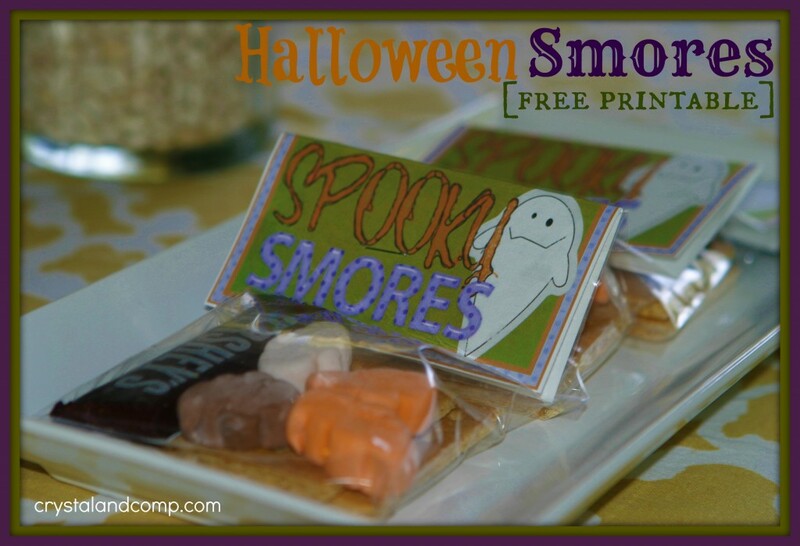 These Halloween smores make the cutest trick or treat goodie. 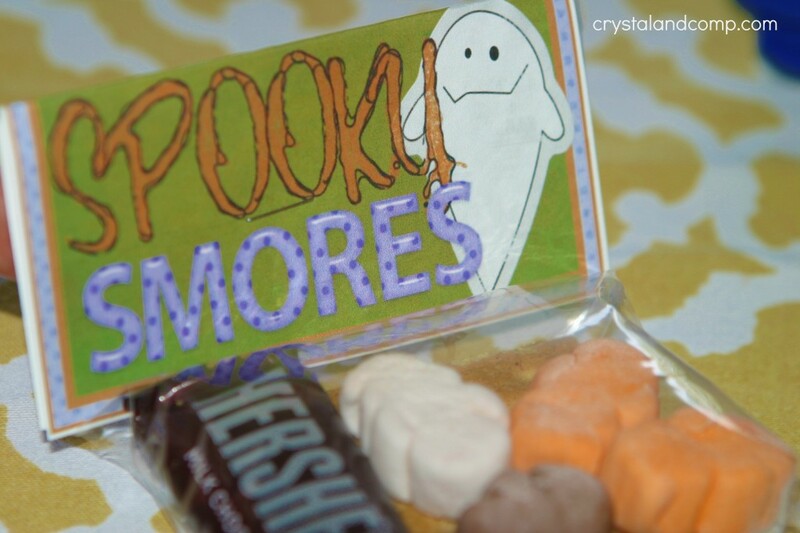 They are also perfect for teacher gifts and for the school party favors. 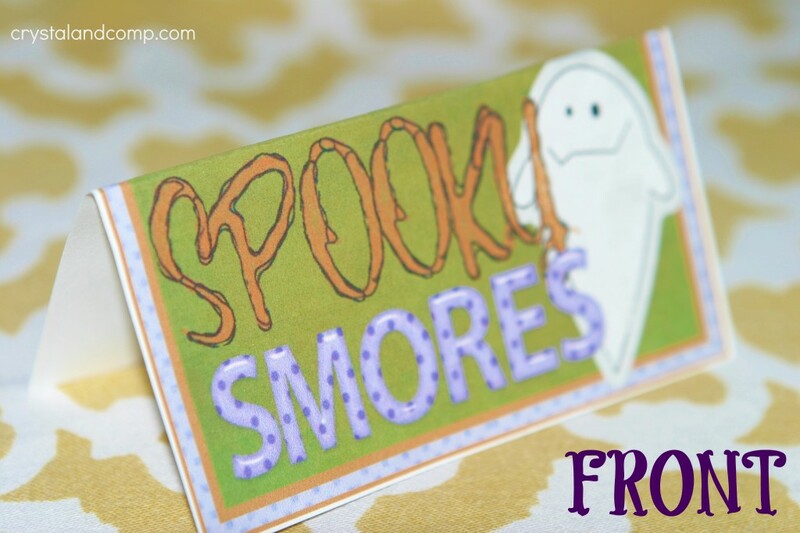 This fall craft is so easy to make and I have a free printable to make it that much easier! Thank you 3 Boys and a Dog for making our craft graphics. She can make just about anything! 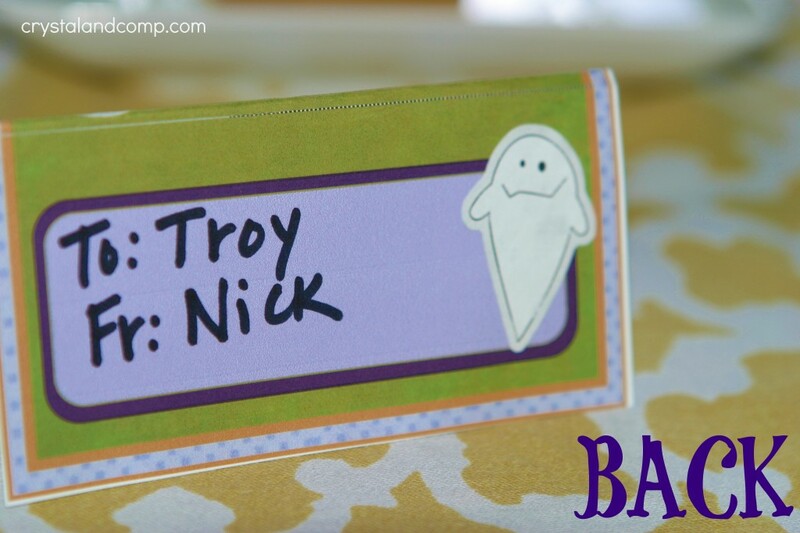 Print out the free printable on white card stock. Use the paper-cutter (or scissors) to cut out the fold-able printable. Once cut out, fold on the dotted line. Fill in the from and to area. 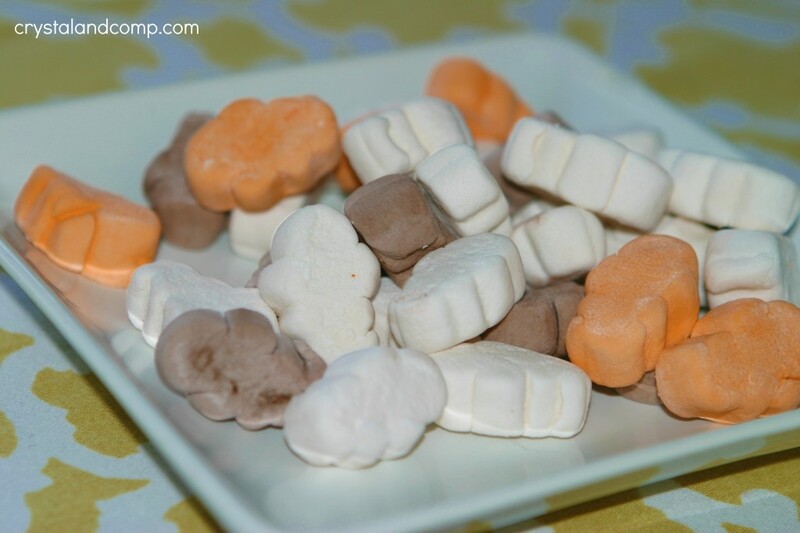 Gather up your Halloween marshmallows. 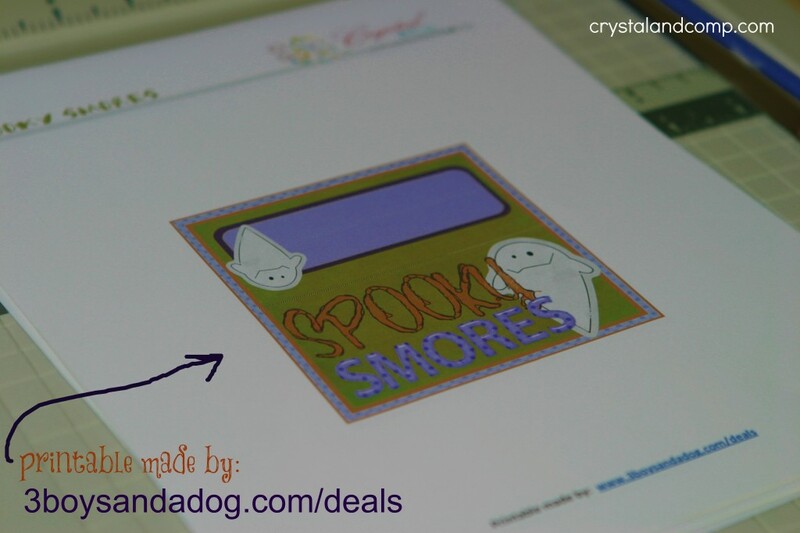 They’re little ghosts and perfect colors for this printable. 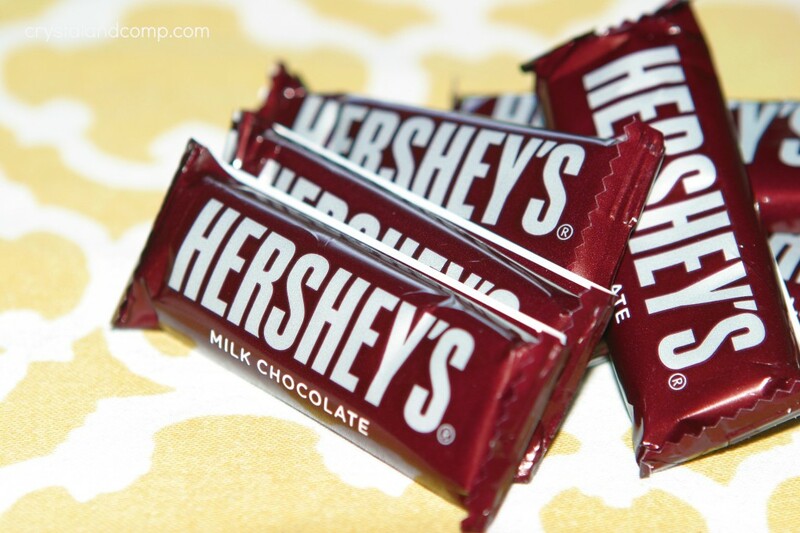 These snack size Hershey’s you can generally find at the dollar store. Graham crackers don’t last long at my house. 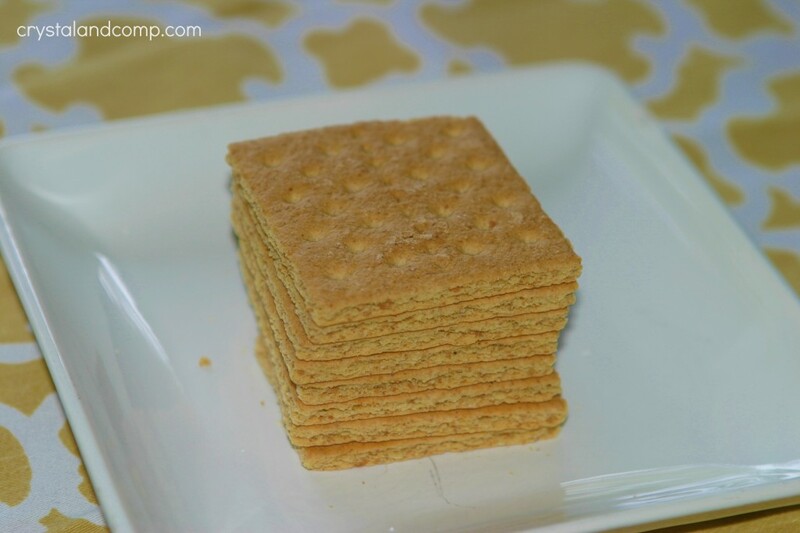 Break the graham crackers off into squares like these. 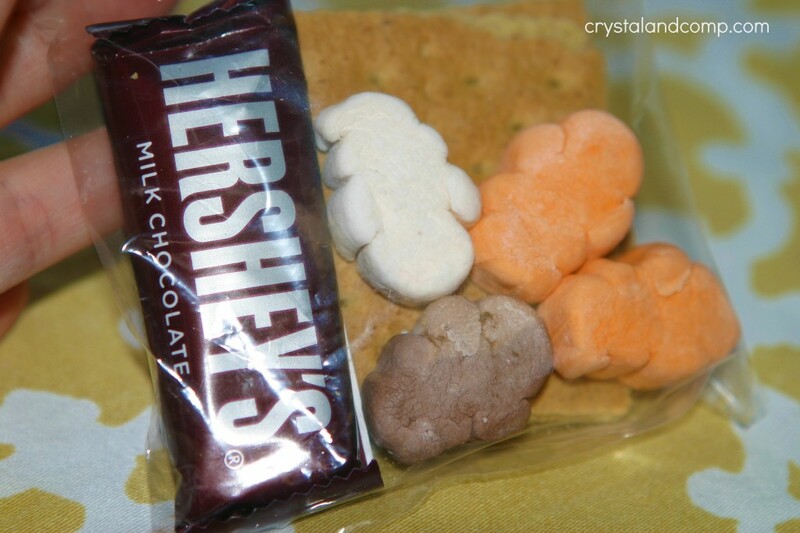 In each cello bag, put two cracker squares, four marshmallows and a snack size Hershey’s bar. Put the folded printable over the top of the cello bag and secure with one staple in the middle. 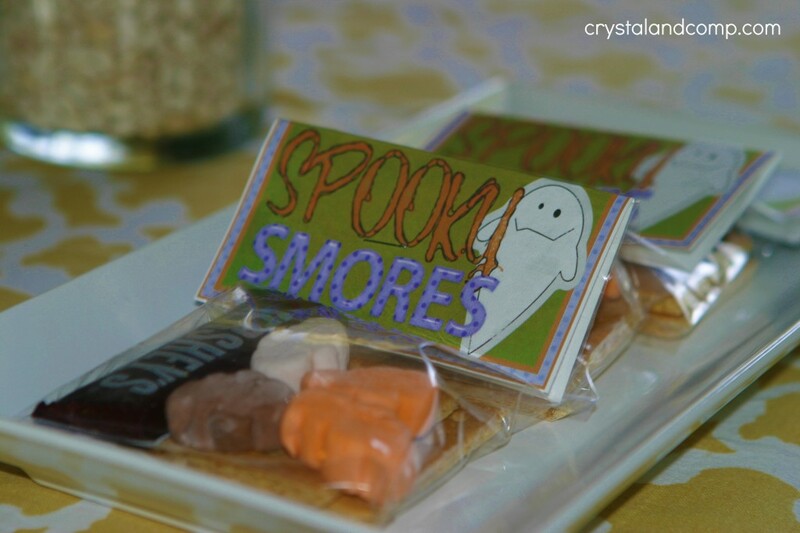 And you have yourself an awesome treat every kid will love! Guess what?? Your tasty post is being featured in our Feature Friday post today! We are in love with your sweet treat and have added you to the Top 10 Super Sweet Halloween Treats. We will pin you to Pinterest and you will be featured on our Facebook page. Don’t forget that the new linky opens at midnight Friday night! We can’t wait to see what else you share! This is a nifty little treat for sharing with friends. A little heart felt treat is always fun to give to others. Thank you for sharing and for linking up this week to the Thoughtful Spot Weekly Blog Hop.